With major concentrations of SMP clinics in our largest cities, it is always refreshing to see the footprint of availability stretching into new territory. 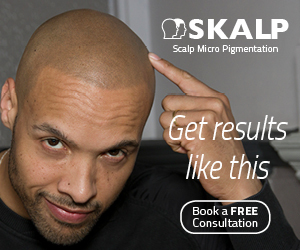 So we were delighted to meet Daniel at Scalp Perfect, operating from his base in Maidenhead on the M4 corridor to the west of London, and hear his journey to becoming a great addition to the list of respected and reliable Scalp Micropigmentation providers. Daniel will not be the first hairdresser to appreciate the value of SMP and he will definitely not be the last, but not too many will bring his thirty years of experience. 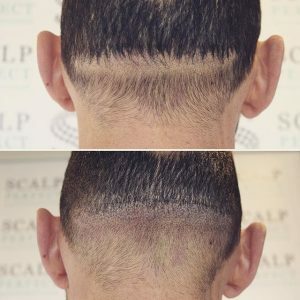 He has, in that time, worked on men and women in some of the best salons in the country and developed a stellar reputation. 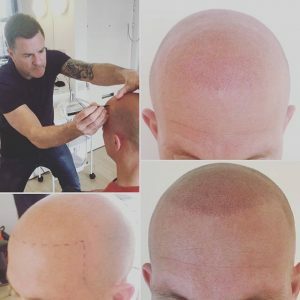 Like any great hairdresser his interpersonal skills are exemplary, a talent that stood him in good stead when taking the decision to add Scalp Micropigmentation to his repertoire. 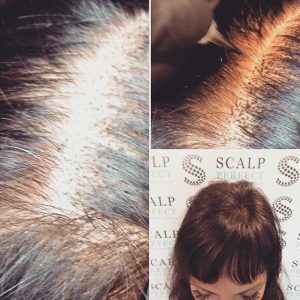 Hairdressing as a background for SMP training strikes us as ideal preparation – more so than say tattooing or semi permanent make-up. Like so many practitioners Daniel came to the industry as a client. Luck, and no small amount of due diligence, led him to the clinic of Lukan Griffiths at LGS in Birmingham – As you will know if you have read his page on here, Lukan is a highly respected practitioner and trainer who spurns the “take over the world ” approach of many of his competitors to run his one man clinic in Birmingham, where he has been turning out first class SMP’s for years. Inspired by his own treatment Daniel signed up to train with Lukan, a service that Lukan takes incredibly seriously… only training one person at a time for as long as it takes to get them to excellence. SMP Debate got wind of Daniel while he was still in training, with Lukan describing him as an extraordinarily diligent and passionate candidate. So it is no surprise to have seen him successfully establish himself as a serious player, with a gallery on his site that testifies to the quality of his work… the whole gamut of SMP treatments are there – standard SMP coverage for Norwood clients and some terrific scar work. We really like his work using SMP to provide additional density… something we credit to his hairdressing background and his confident approach to improving his client’s appearance. As he puts it “being able to combine SMP and hairdressing has given me so much scope to tailor treatment plans to fit the ongoing needs of my clients”. Reaching out to Daniel could not be easier, for a quick reply simply send him an email to daniel@scalpperfect.com or give him a call on 01628 629600. 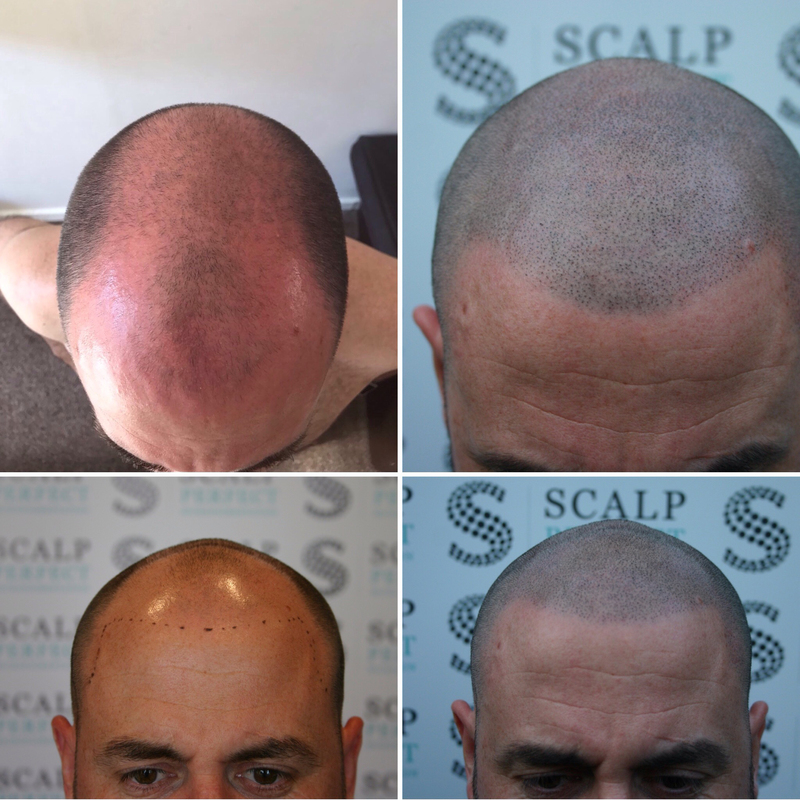 Collaboration has proved the key to innovation since the days of the Renaissance, we are genuinely excited to see a world class hairdresser combine his skills with SMP to offer new treatment options to his male and female clients – Daniel’s work on adding density is as good as any we have seen. That hairdressing background, his professionalism and his first class training with Lukan at LGS all combine to deliver everything you could possibly want from your SMP provider.